MK Binyamin Ben-Eliezer on Thursday said he would resign from the Knesset, after nearly four decades of government service. MK Binyamin Ben-Eliezer on Thursday said he would resign from the Knesset. 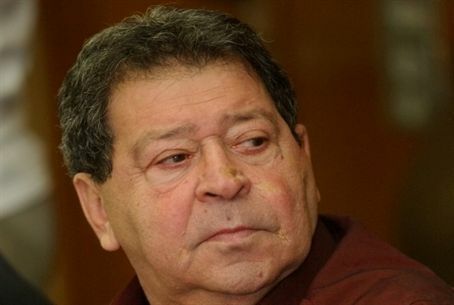 Ben-Eliezer, a Labor Party member who served as an MK and Minister in numerous governments, wrote to Knesset Speaker Yuli Edelstein that “after a long decision making process and a difficult struggle with my thoughts on the matter, I have decided to resign from my Knesset post. As you know, I have been suffering from health problems in recent years,” he wrote, adding that he was a candidate for a kidney transplant. After Ariel Sharon's victory in the special election for Prime Minister in 2001, Ben-Eliezer was appointed Minister of Defense in the national unity government, and served as Labor Party leader following Barak's resignation until Amram Mitzna was elected in 2002. He left the post on 2 October 2002 when Labor withdrew from the coalition. In 2005, he returned to government service as Minister of National Infrastructures, and was again appointed to that post in 2008 under Ehud Olmert. Taking Ben-Eliezer's place in the lame duck Knesset – which has already dispersed itself in preparation for the 2015 elections – is Gilboa Regional Council head Danny Atar. Because of the dispersal, it is likely that Atar will not be officially sworn in, unless the plenum reconvenes for a special session before the elections.